Start devices are used to assist the starting of the compressor. The conditions where start assistance is typically needed are when the compressor is old and worn or the system must start against a higher pressure on the discharge side. Older refrigeration systems used a fixed metering device like an orifice or capillary tube to separate the high pressure side of the system from the low pressure side. The flow rate through the device depended on the difference in pressure. When the system shut off the pressure would equalize somewhat rapidly through the fixed device. The next time the compressor started the high pressure and low pressure would be the same and the compressor would start with no assistance. As system efficiency increased more systems have been equipped with a self regulating metering device called a Thermostatic Expansion Valve or TXV. This device is a self adjusting metering device that will close off when the system shuts off. High pressure and low pressure will take much longer to equalize with this type of metering device so their is a good chance the compressor will cycle back on with a differential between the high pressure and low pressure. This causes a need for increased torque to start the compressor motor. This additional torque is generated by adding some type of starting components to the system. 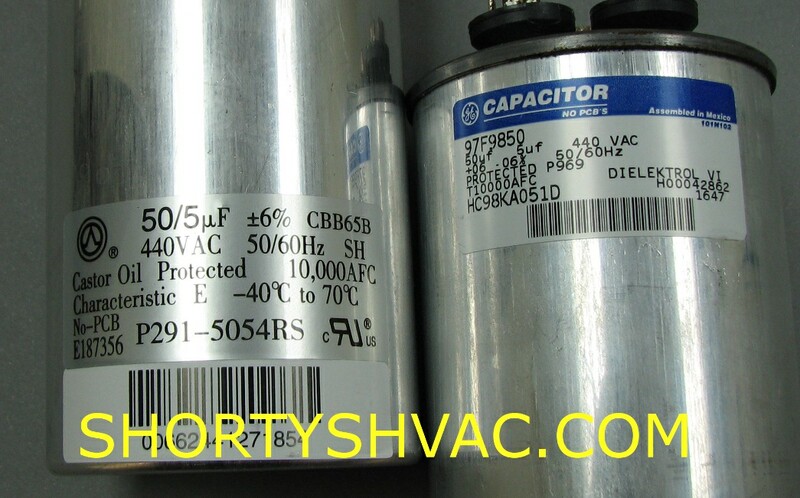 Common start assist devices are a start capacitor with start relay, start capacitor with some type of thermal shut off and start thermistors. The start capacitor and start relay as well as the thermistor style must be matched to the application. The style with the thermal shut off are generic replacements that are typically used as a quick fix.